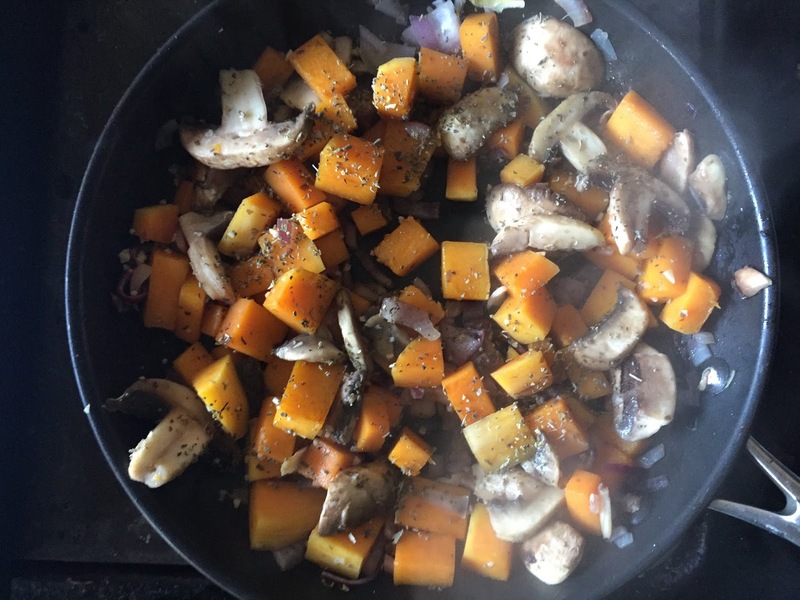 Butternut squash is one of my favourite vegetables so I've been making more of a conscious effort to include it in my home cooked recipes. 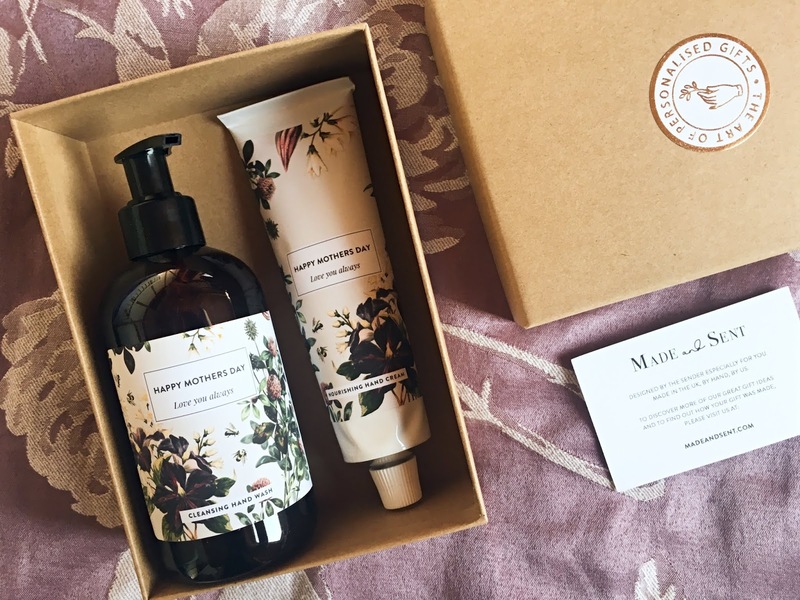 It's really versatile and can be used in all sorts of recipes from simple soups to tasty tarts and coconut-based curries! 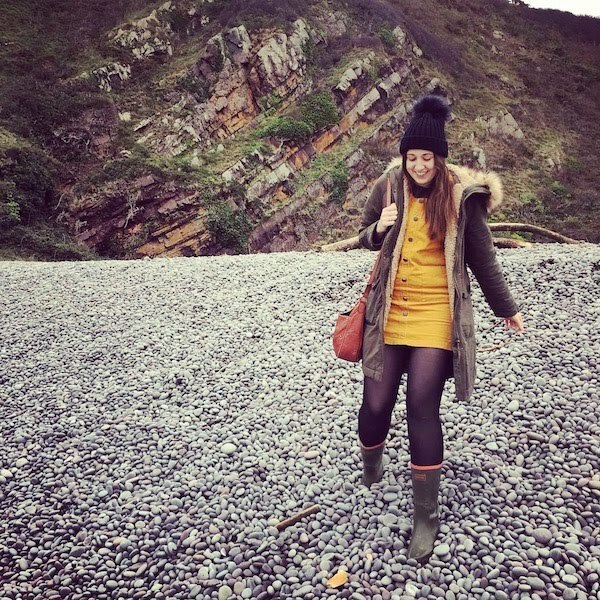 Today though, I wanted to share a very quick and easy butternut squash side dish that you can serve with anything from a traditional roast to a basic jacket potato! 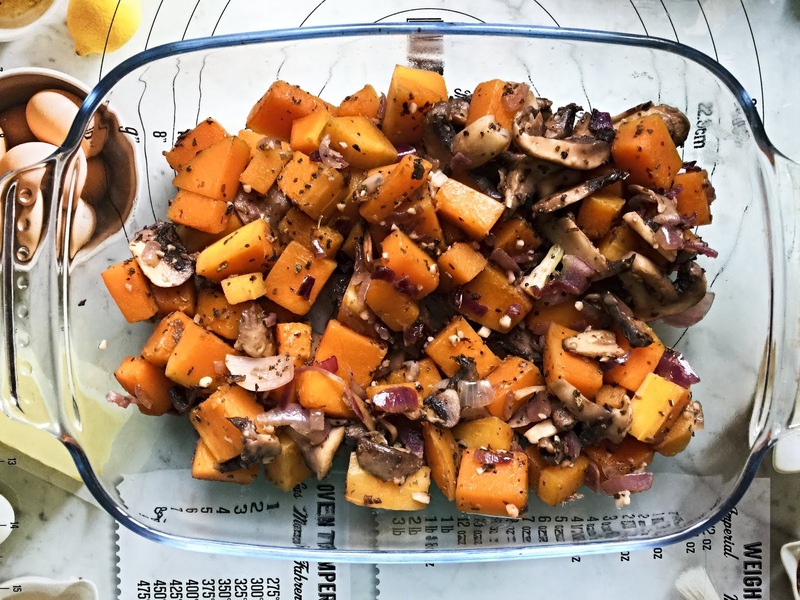 To make this tasty butternut squash side dish, add a dash of olive oil to a hot pan and start frying off your butternut squash to soften it a little. After a couple of minutes, throw in your mushrooms and onions, along with a teaspoon of Very Lazy Garlic (or your garlic clove.) Lightly fry your vegetables, before sprinkling over either fresh or dried sage. At this stage your butternut squash will still feel a little hard but that's absolutely fine! 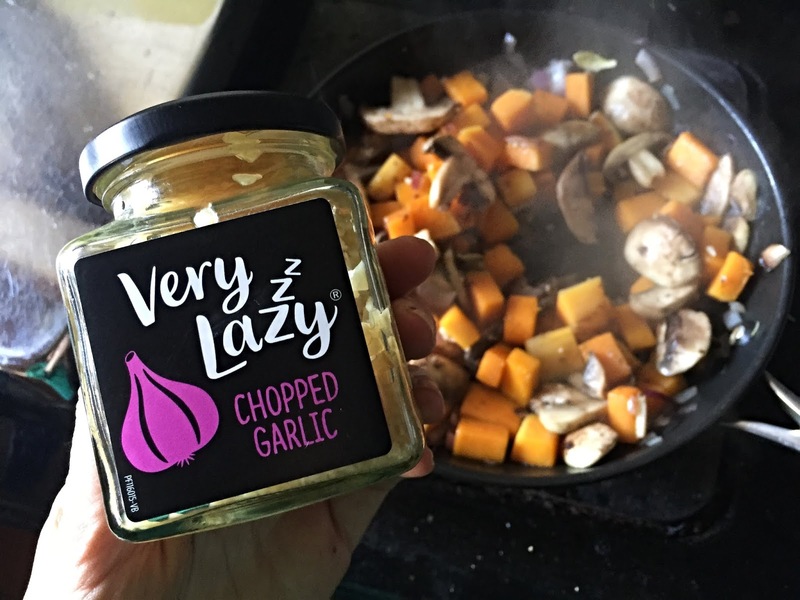 This isn't an AD for Very Lazy Garlic by the way - I just love the stuff! It's so convenient. 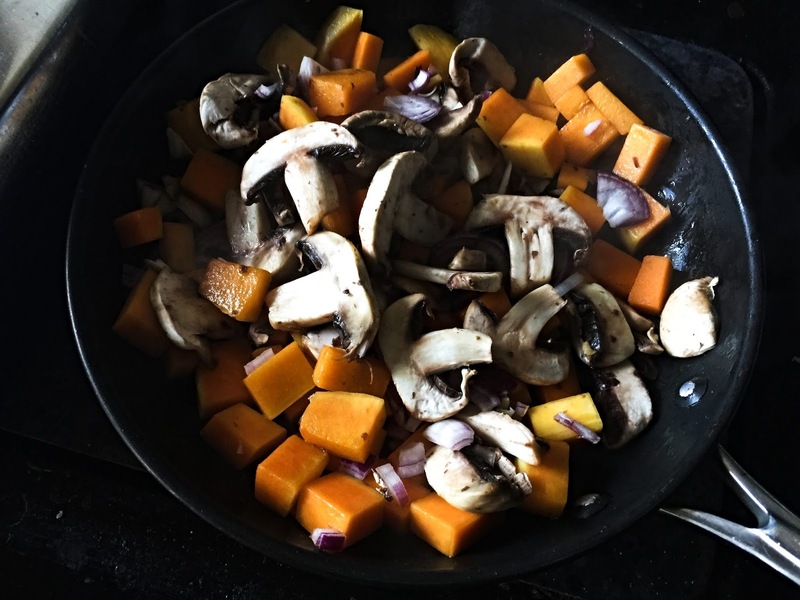 And there you'll have a tasty vegan-friendly butternut squash side dish! See, I told you it was simple. 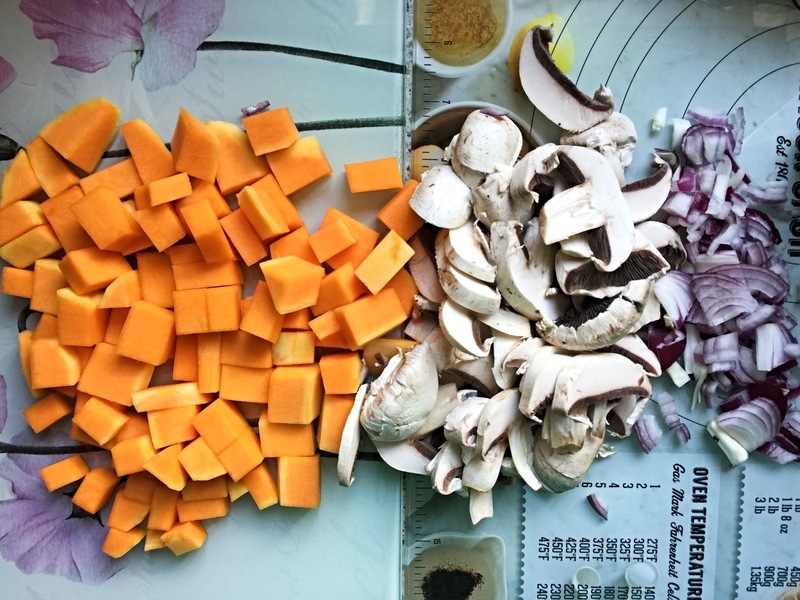 Let me know if you try this simple butternut squash side dish and what you think!